You might not recognize the word ‘space planning’ or know what it means, but it’s typically one of the very first steps of a project. Whether it be a renovation or the early architectural phase of a new construction home, we begin with space planning. 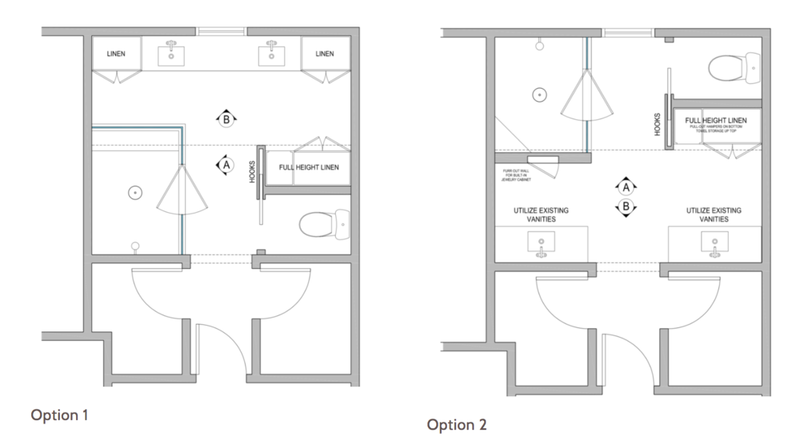 In this blog post about our office renovation, you can see the original floor plan and the space planning we did to determine the new layout. 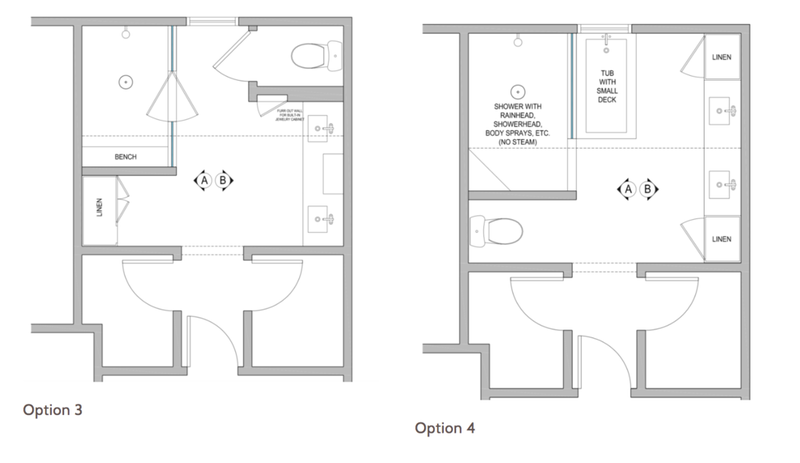 Both of those blog posts show examples of space planning in renovations. With projects similar to these, it’s not uncommon for us to look at a space and lay out the walls, plumbing, cabinetry, or furniture in different ways. You’re PLANNING the SPACE. On a new construction project, we will often begin with architectural collaboration. Often, we look at the architect’s floor plan, and we do internal space planning with cabinetry and furniture to ensure that the allotted space is going to function how the client needs it to function. Because most architect’s strengths come in the form of exterior appearance and architectural details, it’s important to have an interior designer review the internal space. In the case of the two spaces above, we took the architect’s plan and determined that we wanted to add a built-in storage bench in the foyer and in the bathroom, we determined cabinet layouts, plumbing layouts, and wall placements based on how the client wants to use their master. 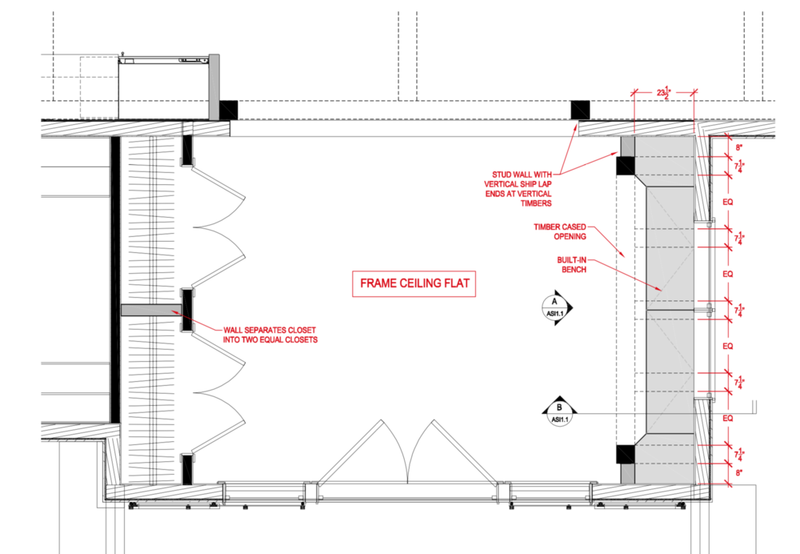 Space planning is an important place to start with any project. It gives us an idea of where we need to place mechanicals, or how much space we have for cabinetry, or where lighting might be needed. There’s a lot of information that can be taken from space planning, and the once it’s finalized, we move on to elevations and other construction drawings.